How do you change the public's perspective on stuffy, old libraries? Design a building that is bright, open and absolutely irresistible to anyone walking by. Designers Koolhaas and Prince-Ramus of the Dutch firm Office for Metropolitan Architecture (OMA) created a mind stimulating space filled with calming blue paneled windows mixed with electric cherry red floors. In 1998, Seattle voters said "yes" to the largest and most comprehensive library initiative in America's history. 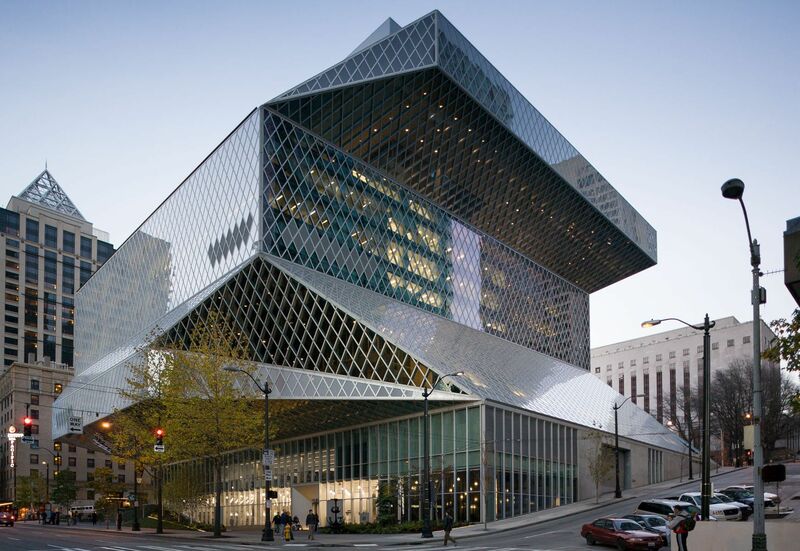 One year later, the city of Seattle began planning for the new library. Architecture firms from all over the world were invited to compete for the project. Ironically, OMA wasn't one of the firms invited. Prince-Ramus, formerly a Seattle resident, found out from his Mother just one day in advance of the mandatory public meeting for all interested firms. He bought a last minute flight to Seattle only to end up winning the project. This massive library has a capacity for over 1.5 million books, in comparison to only 900,000 in the old library building. The library ended up costing $169.2 million. The Gates Foundation donated $20 million firmly believing in the new "Library For All" promise. In the middle of the library, curvy red ceilings turn into walls that melt into floors. These cherry red floors house the bulk of the library’s meeting rooms. Stepping off the elevator, you can't help but feel like you've walked into Willy Wonka's Chocolate Factory. Where are your favorite libraries located? Let us know in your comment below!